Sunflower oil in Ukraine are used to, that the price of sunflower seed is linked to the price of sunflower oil in the international market. In this marketing 2012/13, the right game have changed. Now we see that the price of oil fell and the price of oilseeds grown. Refiners’ margin decreased. What is the reason? The last marketing year is generally perceived as a success for the industry. 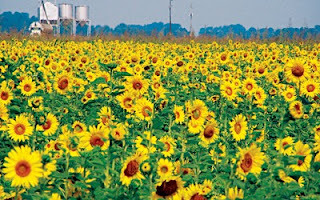 In Ukraine, according to IA "APK-Inform", was a record harvest of sunflower - 9.4 million tons, of which produced a record amount of sunflower oil - 3.85 million tons. Industry working at full capacity and has been provided with raw materials completely. A similar situation exists in Russia. Two countries of the Black Sea region to were realized their export potential and were expanding their presence in the international market of vegetable oils. We have seen that the sunflower oil in a year replaced soybean oil tenders in Egypt. India - succinct, but very sensitive to the price of the market, also significantly increased its purchases of Ukrainian sunflower oil. 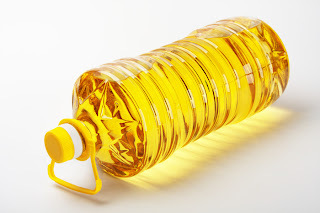 It should be noted that the increase in the proportion of sunflower oil on the world market of vegetable oils has been achieved due to low prices. During the whole of last season, the price of sunflower oil in key markets was lower than soy. For example, on the basis FOB six northern European ports, this difference was on average 100-120 USD / t.
We understand that in the context of a global recession internal situation will only get worse. We already know that the President of Ukraine Viktor Yanukovych signed into law on November 15 № 5480-VI, which gives the right to the National Bank of Ukraine (NBU) to enter for up to six months of mandatory sale of foreign exchange earnings and reduce the time of its return. NBU has already exercised his right and cut back period of currency in 2 times, and introduced compulsory sale. I think that the next steps in this direction will not be long in coming. Our state will seek financing from a new, triple force. This year will be rich in the authorities' attempts to share financial success of sunflower oil’s industry and foreign currency earnings. There is also quite disturbing trends deficit of sunflower seeds on the market, which began to manifest itself in the last year, and this year in their full strength, supported by inflation expectations. Our farmers are not hardened first devaluation of the currency and, in general, believe only in the U.S. dollar and the physical product that will grow in value if inflation starts. How justified expectations of inflation? We see the efforts made by the State and the National Bank, to avoid devaluation of hryvnia. But in actual fact - it is a crisis of liquidity - banks do not have money, loans at 25% per annum, the interbank overnight sometimes as high as 70%! Therefore, the choice of alternatives is small - or stagnation and crisis, or inflation, or both. Expectation of inflation or crisis - is one reason the supply shortage of sunflower seeds, but there is another. For years, we have seen that from the various farmers' associations and large agricultural holdings held organized containment sales of sunflower seeds. And, apparently, this long-term trend. The reason for this - a new balance of power and productivity, and this was a turning point. Below are some numbers and calculations. - The company that will be able to process soybeans and canola, have an additional opportunity to upload their company. According to data of APK-Inform Agency, the prices on the Ukrainian export market of crude sunflower oil with FOB delivery basis started decreasing. The trend was mainly caused by the range of macroeconomic factors. Besides, a gradual increase of the number of offers from the major countries-producers of crude sunflower oil provides the significant influence on formation of the prices. Thus, the offers to purchase of Ukrainian sunflower oil on FOB terms arrive the prices of 1215 USD/t (delivery in October-November). In turn, the Ukrainian trading companies announced the offer prices not below 1230 USD/t FOB. As a reminder, at the end of the previous week, the purchasing prices for sunflower oil of Ukrainian origin were announced within the range of 1225-1230 USD/t FOB. According to the market participants, due to a decrease of the precipitation volumes, some regions of Ukraine resumed the harvesting campaign of sunflower seed. The quality of the oilseed harvest at the present stage is estimated as quite low, the main complaints come to the sphere of the high weed rate of the oilseed and the low oil content, which varies within the range of 39-44%. 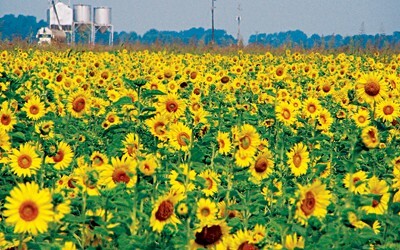 Rather low yield of sunflower seed is typical for agricultural enterprises of the southern oblasts, and to date the index was announced at the level of not more than 12 c/ha (Nikolayev, Kherson, Odessa oblasts). According to agrarians of the individual eastern oblasts (Kharkiv, Luhansk oblasts), the local yield varied within the range of 18-20 c/ha. Due to information of worsening of the quality of the harvested sunflower seed, and the low number of offers on the domestic market of oilseeds, Ukraine faced the growth of the supply /demand prices for the new crop oilseed. During the current week the purchasing prices varied within the range of 4100-4350 UAH/t EXW, and nearly 4600 UAH/t CPT-enterprise. But in the previous week the processors mainly declared the purchasing prices at the maximum level of 4450 UAH/t CPT. In the current week the exporters were ready to sell Ukrainian sunflower seed on foreign markets at the prices within the range of 650-670 USD/t FOB. During the week the price of sunflower oil followed global trends, showing that a slight increase, then decrease. But just at the end of the reporting period, a significant intensification of demand for Ukrainian products has caused the strengthening of the market (export prices increased on average by 15 USD / t). In terms of DAF-Poland exporters offer goods at a price of 1235-1240 USD / ton on the domestic market of oil changes were observed. Currently manufacturers are willing to sell sunflower oil at a price of 9750-9950 UAH / t, EXW. Price of sunflower oil in this season is very attractive compared to other oils. But despite the significant increase in demand, oil is still cheaper than other analogues, such as soy. According to estimates by Oil World (Germany), Ukraine and Russia possess in general 300-350 tons of oil they can sell on the world market in July and September, which will make a significant pressure on prices. Step-down effect also has information on good prospects for new crop seeds. As a result, consumers do not feel the need to force the purchase of oil on world markets. Analysts believe that in July-September, sunflower oil does not lose his attractive price, especially since the market is a shortage of competing oils and fats, and the prospects of soybean in the U.S. worsen. 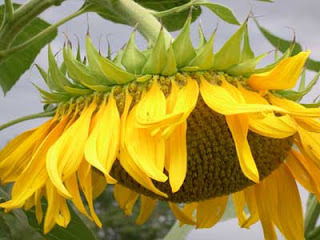 It is expected that at least to start in 2013, sunflower oil will be actively offered in the markets of North Africa and Asia.